The 2nd Squadron, 6th Cavalry Regiment was first constituted on 4 May 1861 in the Regular Army as Company B, 3d Cavalry. It was redesignated on 3 August 1861 as Company B, 6th Cavalry and organized on 16 August 1861 at Camp Scott, Pennsylvania as Company B, 6th Cavalry. The Squadron participated in the Civil War as part of the Union's first action in the Peninsular Campaign on 4 May 1862. For its participation in the Civil War, the unit earned 16 battle streamers. Following the war, the 6th Cavalry Regiment participated in 10 Indian Campaigns and was responsible for the surrender of the famous Apache chief Geronimo. Cavalry companies were officially redesignated as roops in 1883, with the unit becoming Troop B, 6th Cavalry. The Regiment also saw action in the Spanish-American War, storming alongside Teddy Roosevelt's "Rough Riders" during the capture of Santiago, Cuba. Between 1916 and 1917, the 6th US Cavalry participated in the punitive expedition to Mexico to end Pancho Villa's raids on American soil. The 6th Cavalry was assigned on 15 August 1927 to the 3rd Cavalry Division and relieved on 1 December 1939 from assignment to the 3rd Cavalry Division. On 21 July 1942, the unit was reorganized as Troop E, 6th Cavalry, Mechanized. The 6th Cavalry Regiment was broken up on 1 January 1944 and its elements were reorganized and redesignated. Headquarters and Headquarters Troop was reorganized and redesignated as Headquarters and Headquarters Troop, 6th Cavalry Group, Mechanized. 1st and 2nd Squadrons were reorganized and redesignated as the 6th and 28th Cavalry Reconnaissance Squadrons, Mechanized, respectively. Troop B, 6th Cavalry was reorganized and redesignated on 1 January 1944 as Troop F, 6th Cavalry Reconnaissance Squadron, Mechanized and earned the Presidential Unit Citation for its actions at the Harlange Pocket. 6th and 28th Cavalry Reconnaissance Squadrons, Mechanized, were converted and redesignated on 1 May 1946 as the 6th and 28th Constabulary Squadrons, respectively. 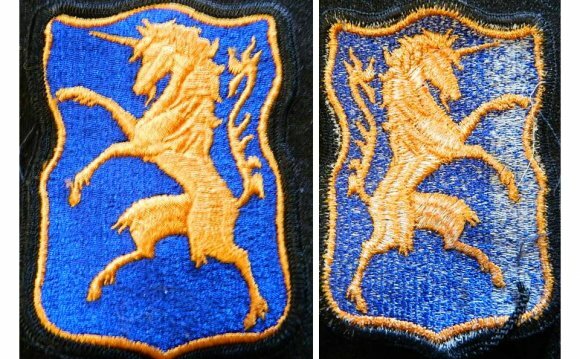 Troop F, 6th Cavalry Reconnaissance Squadron, Mechanized was converted and redesignated on 1 May 1946 as Troop E, 6th Constabulary Squadron and again on 20 December 1948 as Company B, 6th Armored Cavalry. The Squadron returned from Europe in 1957, and was stationed at Fort Meade, Maryland. The unit was reorganized and redesignated on 24 June 1960 as Troop B, 6th Armored Cavalry and was inactivated on 24 October 1963 at Fort Knox, Kentucky. It was reactivated on 23 March 1967 at Fort George G. Meade, Maryland and inactivated on 21 June 1973 at Fort Bliss, Texas. While inactive, it was redesignated on 1 July 1974 as Headquarters and Headquarters Troop, 2nd Squadron, 6th Cavalry, and reactivated at Fort Knox, Kentucky with its organic elements concurrently constituted and activated. It was inactivated on 30 May 1986 at Fort Knox, Kentucky. On 16 July 1986, the 2nd Squadron, 6th Cavalry was reactivated to become part of the 6th Cavalry Brigade, and was the third unit to receive the AH-64 Apache. In January 1988, the Squadron moved from Fort Hood, Texas to Illesheim, Germany and was formally assigned to US Army Europe. The 6th Cavalry ("Fighting Sixth") is a historic regiment of the United States Army that began as a regiment of cavalry in the American Civil War. It currently is organized into aviation squadrons that are assigned to several different combat aviation brigades.